I have run out of books to read in my stack which means I am planning to go book shopping next weekend. We do not have a bookstore in the city I live in. Shocking I know. Horrific actually. So we have to travel to the closest city to us which is actually quite close. Still a trip. I do not currently drive due to migraines and vertigo so I have to depend on someone else to give me a lift otherwise I would likely already be there. You see the thing is I cannot have downtime from reading. I need to read. Need to have a book on hand. And my Kindle is what feeds that addiction for these dry spells. I know I cannot just go get a book so… I will simply download a few in the meantime. Which I have. Three so far. Really good deals I might add. Which brings up another point. I didn’t have a book for the span of one Whole evening. Deprived of that I muddled through my evening watching TV and doing things on the computer. Writing and so forth. Filled the gap as it were. Then when I downloaded a book the next evening it was like I had been deprived of oxygen. I gulped down that baby down like I needed to breathe. In other words, I finished that book that night. A book in the span of a few hours. I inhaled that book. I would not even say it was particularly enthralling of a story either. I do not tend to pick Kindle books that are stories I will read again because for longevity I want paperbacks. It was entertaining though for sure. 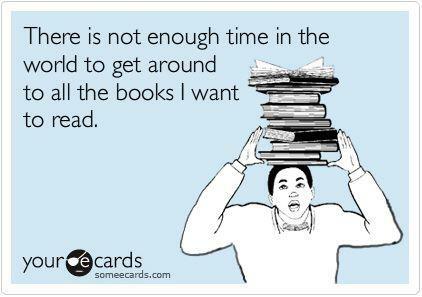 I had just been book deprived, grant it for a short period of time, and that meant I really got into it intensely. Real intense reading time. Completely ignored all other pursuits. Not even sure I ate, to be honest. If that is not a sign of reading addiction, I have no idea what is. But if you are going to have an addiction it is a fine one to have I think. As long as you eat in there somewhere. And occasionally remember there is, in fact, a reality outside of those books. All that stuff. Other than that, I’m all good with my reading addiction. I do not, however, want to increase my reading speed. I had once read an article on that and decided it was in my best interests to maintain the rather fast speed I already have rather than increase that and therefore, consequently, increase the cost of books quite a bit more. Not that it would not be awesome to whip through a book an hour if you could and retain it all… but if you Could you Would. All I am saying is that I simply cannot resist that Kindle fix between book shopping sprees. If I didn’t have the Kindle I would have to resort to going to the pharmacy and buying the books they stock there. In the past, I have done just that and some of the worst books I have read have come from there. Highly recommended books but I really loathed them. Never judge a book by ‘highly recommended’. Besides that generally, the genre selection is severely limited. I buy differently on the Kindle for sure, but I have a vast selection to choose from which is vastly appealing as well. It satiates me between book shopping binges. I shop differently because ebooks for the authors I would buy on paperback are the same price as the book, so why buy the ebook, right? I tend to hunt for deals or new authors or fluff books.